How would you like to master the skills to defend yourself—and turn the tables—against an entire gang of thugs? When you discover the TaeKwon-Do classes at Kick Connection, you’ll learn powerful techniques that will transform your fists and feet into lethal weapons of self-defense! And as you’re developing the bodyguard-grade skills that could someday save your life, you’ll be getting an incredible workout that will give you a gorgeous head-turning body and leave you feeling nothing short of amazing! KICK CONNECTION IS YOUR BEST CHOICE FOR TAEKWON-DO! 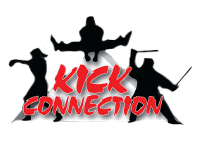 Kick Connection is not your ordinary karate school...we specialize in TaeKwon-Do, which is a Korean martial art known as “the way of the hand and foot”. In fact, we have the distinct privilege of being the only martial arts school in Maryland to be a recognized member of the International TaeKwon-Do Federation! When you take the TaeKwon-Do classes at Kick Connection, our black belt masters will show you how to defend yourself using nothing but your hands, feet, and a burning desire to win! When you enroll in the TaeKwon-Do classes at Kick Connection, you’ll have the rare opportunity to learn from TaeKwon-Do black belts with decades of experience in the martial arts. As you master TaeKwon-Do at the hands of our world-class instructors, you’ll develop impressive strength, iron-clad self-defense skills, and unstoppable determination! THE RESULTS ARE PRICELESS. THE COST IS FREE. When you choose to take TaeKwon-Do classes at Kick Connection, you can be confident that your results will exceed your expectations. From an incredible body-shaping workout to remarkable self-defense skills and everything in between, you’ll enjoy results that are nothing short of priceless! And, now, with a very special limited-time introductory offer for students who enroll this month, you can get started in TaeKwon-Do classes at Kick Connection for FREE! To learn more about this special offer, just complete the no-obligation contact form on this page. When you do, we’ll give you everything you need to take advantage of this amazing opportunity to get started in TaeKwon-Do for FREE at Kick Connection!